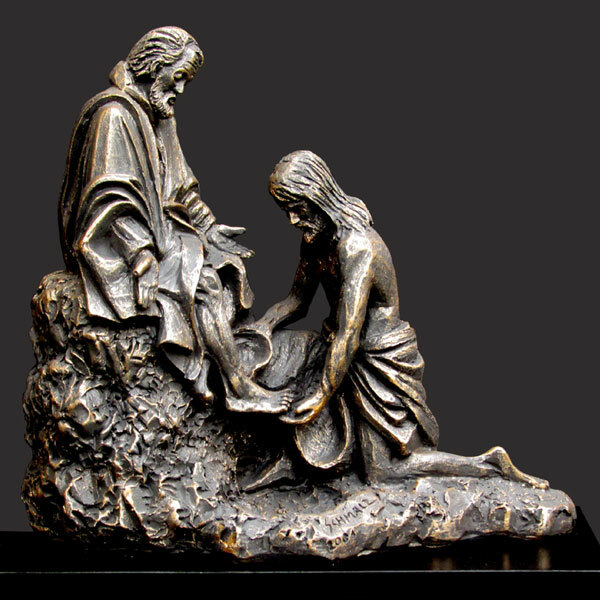 Christ Washing Peter's Feet is a Christian sculpture by master artist Timothy P. Schmalz. In it Christ is shown kneeling with a towel around His waist as He carefully and lovingly washes Peter’s feet. Peter’s gesture shows his bewilderment and confusion, yet his facial expression shows that he has surrendered to Christ’s will.